As any gamer or blockbuster fanboy will tell you, adapting a video game for a film is often not the best decision for either medium. Yet the guns at the big studios remain convinced they can offer gaming's immersive and interactive experience within the frame of cinematic narratives on the big screen. Hopes run high for Disney's Prince of Persia: Sands of Time, whose WonderCon panel was moderated by L.A. Times writer Geoff Boucher and introduced by producer Jerry Bruckheimer (at his first-ever comics convention), with director Mike Newell, game creator / story consultant Jordan Mechner, and the Prince himself Jake Gyllenhaal on hand to field questions. 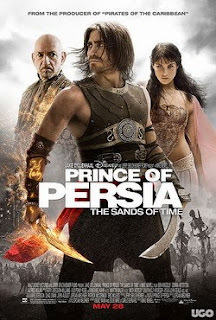 As synopsized at IMDb: Set in medieval Persia, Prince of Persia: The Sands of Time is the story of an adventurous prince who teams up with a rival princess to stop an angry ruler from unleashing a sandstorm that could destroy the world. Which is why after the prince is tricked by a dying Vizier to unleash the Sands of Time that turns out to destroy a kingdom and transforms its populace into ferocious demons, he makes efforts to save his own kingdom and redeem his fatal mistake. It's up to the prince and the princess to return the sands to the hourglass by using the Dagger of Time, which also gives him a limited control over the flow of time. Starting off their WonderCon presentation with an action-packed sizzler reel of the siege of a 6th Century walled city, director Mike Newell complained that the scene was a huge undertaking that took forever to shoot. 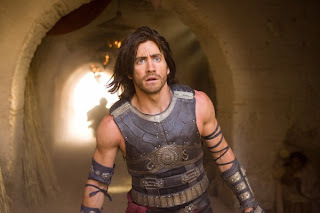 Shot on three separate tracks—one for character interaction; a second unit for Gyllenhaal's stunts (Newell felt it important to point out that this was made much easier by Jake doing a tremendous number of his own stunts); and the third for the computer graphics—each track was equally complicated within the particular scene. To create shots of the city—because, of course, the city didn't exist—they sent people to India to photograph Indian cities so that they could get the detail absolutely right. Although the wide shots were created with CGI, the big castle in this sequence actually existed, situated on one of the most colossal stages of the world: the Bond stage at England's Pinewood Studios. As to how they determined the tone of the film, Newell relayed that he and Bruckheimer felt it was very important that they both feel good about their vision of the project, and they agreed that the film should not have a postmodern tone, by which Newell meant that the characters would not do something heroic and then turn to the camera to wink. They didn't want that at all. They wanted the story to be absolutely for real from the ground up and that the audience would sense the peril, the emotions, the love, and find themselves right in the middle of the action throughout the whole movie, without being constantly yanked out by the movie commenting on itself. Bruckheimer's priority of tone was to realistically capture the period, to express the film's humor, and its romance. In effect, he felt the key was to tell a great story. Crediting Jordan Bechner with having created great characters while adding a Shakespearean element to the character drama, and then bringing a fantastic director like Mike Newell on board to guide the actors along the way, created something special; but, ultimately, it was always about the story. No matter how good Mechner's original game was, Bruckheimer knew that if he gave audiences a bad story, they would be bored. They shot in Morocco where—though it doesn't show on screen—it was nearly 120° every day. 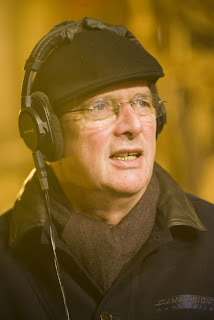 It was brutal on location for Mike Newell and his cast. Again, it shows in their performances, you can feel the heat, feel the tension and yet Mike is wonderful with the humor. It's a shame, Newell inserted, that they didn't have a clip that offered a sampling of the comic genius of Alfred Molina who plays the wonderfully untrustworthy Sheik Amar. Gyllenhaal was impressed with the "ocean of people" packing WonderCon's Esplanade Ballroom and the thunderous applause, catcalls and whistles let him know how much he was adored by his fans. Boucher asked him if—with a character like Prince Dastan—he prepared for the role by starting with the inside or the outside? Gyllenhaal responded: "I started from the outside first. I'm a physical person and I'm athletic so I started training early, knowing that—if I wanted to make a movie like this—I wanted to pull off the stunts and do the functional action. If I was going to run on walls, I really wanted to run on walls. I tried to figure out how to do that and not get hurt." How could it not be fun to get paid to get in shape and work on a tan? Every character requires different things and Prince Dastan required working out. With all of the stunts that he had to perform, Jake trained in free running. "We worked very closely with a guy named David Belle who invented parkour. It took a long time to find him because he has no email address or phone number. So we went over the streets of France in a helicopter looking for someone jumping off of buildings and snagged him and brought him over to Morocco. [Gyllenhaal laughs.] No. But at first I worked with a lot of gymnasts. Free running is based a lot on acrobatics and I started working in a gym jumping off of things that were padded and learning how to do the running up to stuff. Then slowly we started working on harder and harder surfaces, very carefully. Then David just started saying eventually at certain points, 'We're going to go from here to here' and then I'd say, 'Okay, I'm going to try it' and then he'd go, 'Oh God, don't please!' and then I would and then I'd get a little bit farther and earn a little respect and David would let me go a little longer, a little farther, a little higher, and we just kept going like that." Boucher asked if this action hero role was a new sector Gyllenhaal was moving into as an actor. "Yes," Gyllenhaal quipped, "the Jerry Bruckheimer sector. It's a little louder, a little bigger, and a little more fun." Boucher turned to Jordan Mechner and asked—having created the game and watched it evolve over the years—how this moment of the game becoming a blockbuster film felt? "Considering that it started with a character on the Apple 2 computer that was three pixels high, moving from that to Jake is pretty incredible," Mechner answered. The video game of Prince of Persia became something of a phenomenon on its own. Mechner was fresh out of college, home for the summer, and inspired by such swashbuckling Hollywood films of the 1940s as Thief of Bagdad. He had his brother put on a pair of baggy pajamas and they went to the high school parking lot where Mechner had his brother run and jump and do all sorts of actions, which he videotaped. He put the videotape through the computer and the game was born. Gyllenhaal inserted: "That's how I trained for the movie too! It was just me and a baggy pair of pajamas." Newell attested to being familiar with the video game because of his 14-year-old son who—though he has played the game—finds it a little too early historically to be of interest. Currently his son prefers fighting the Reichstag in the second world war. 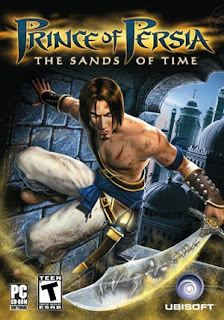 Privvy to the new version of Prince of Persia that's about to come out, Newell played the game as much as he was able, though he was "absolutely hopeless" and fell into revolving knives every game. Bruckheimer is not an avid gamer, admittedly busy developing TV shows and movies all over the world; but, thanks to Jordan Mechner he became familiar with the game, loved its devices and characters, and the Shakespearean touches Newell brought to the drama throughout. Gyllenhaal stated he played the original sidescrolling videogame that Mechner invented. "Who knew how our fates would meet so many years later?" He admitted there was definite pressure in adapting the game to film because he knows how important the game is to so many people and how much fun people have had playing the game for decades. There have been so many incarnations of the game. "It's been reborn and reborn and reborn again, which is a testament to Mechner's brother's pajamas, y'know? So definitely there's pressure there. But it's exciting too to try and reinvent the character in a new way for a different genre of entertainment. It's great fun, y'know? And my boots, by the way, speaking literally, took 20 minutes every day to put on so they were hard boots to get on and to fill." They next showed a sizzler reel wherein Jake's character discovers the power of the dagger: it can turn back time. Newell wanted to give the impression that—by doing that—the body of whoever is handling the dagger is dissolved to its constitutent atoms, and then built back up again a little earlier in time. Newell described some of the other characters in the film. 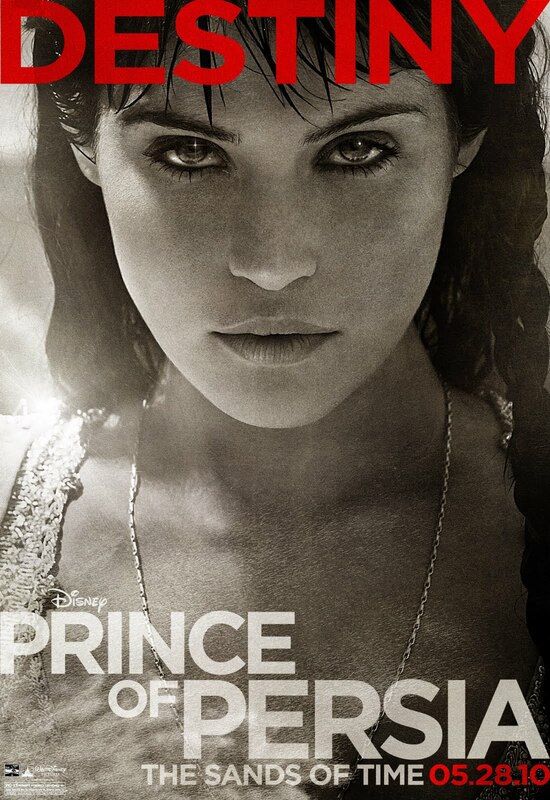 British actress Gemma Arterton plays Tamina, the princess of the great cult that guards the Sands of Time, which are a natural force of destruction. Should the Sands of Time get out of their imprisoning glass container, they could potentially destroy the world. It's her business to make sure that doesn't happen. The only thing that can ward off the destructive onslaught of the Sands of Time is the dagger itself. 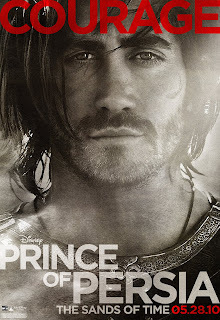 Of course, Tamina falls in love with Prince Dastan, which Newell admitted is what he would have done if he'd been in the same place. 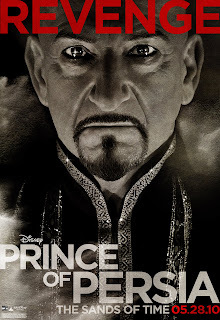 Reluctant to say too much about Nizam, Ben Kingsley's character, for fear that it would spoil too much, Newell characterized him cautiously as "a serpentine character." Newell always said to Kingsley, "Ben, we have to make two movies with you. We have to make a movie they think they're seeing and we have to make a movie that you know you're making"; but, Newell advised his audience that they wouldn't be able to really disentangle that until they see the film. "One of the great comic turns of our times is Alfred Molina who plays Sheik Amar," Newell went on. "He's on the side of the angels at the end, but if he can see his way to a little profit as he goes, he will. So he's a rogue with a good heart." Then, of course, there is a "whole range of wonderful characters" including princes, and a marvelous villain, an Icelandic actor named Gísli Örn Garðarsson who plays the Vizier, the chief Hassansin. 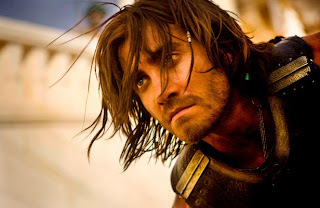 Describing his character Prince Dastan, Gyllenhaal stated Dystan had "the difficult challenge of being able to take the situation at hand as seriously as it is possible to be taken when you have a dagger that turns back time, you have magic snakes that come out of your arms chasing you, and at the same time have fun while he's doing it. He has a wry sense of humor, which I appreciate about him. In the first draft of the script I read, he was a strong fighter who would face each challenge in front of him with a sense of fun. He also likes to jump off of things. He likes to fight with his fists and his swords. And he also likes princesses." Having played a few roles related to time travel, Gyllenhaal was asked if time travel was of personal interest to him? He responded affirmatively: "Whether it's conscious or unconscious, I have a real issue with time. I might not be alone in that. And I'm fascinated with how it works in telling stories. There are so many opportunities when you can move forward and backward and when characters are unaware that they're moving forward or backward. That's fascinating. And anyone who knows anything about time continuums knows that we probably don't necessarily only move forward." As to where he would travel back in time if he could, Gyllenhaal said he would be interested in traveling back to his birth. "I'd love to see what that was like." Boucher remarked, "That's weird, Jake. I'd like to travel back in time before you said that." Asked what convinced him to shift from his more usual dramatic roles to choose an action role, Gyllenhaal answered, "Well, all of my peers seem to be getting into it so I thought maybe it's time. I love big action adventure movies, I really do, Indiana Jones is one of my favorite movies. Jordan was influenced by movies like that, and it felt somehow great to mix all of these interests and all of these movies that I love so much." 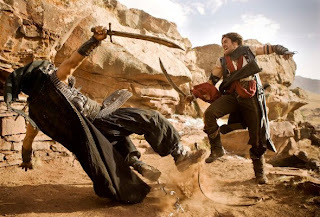 Mechner was the first to admit that not every video game should become a movie; but, Prince of Persia leant itself well to the enterprise for many reasons. First, it's set in a fantastical world of the One Thousand and One Nights that hasn't been brought to the screen in a long time and certainly not on the scale undertaken by Bruckheimer and Newell. Second, to have a dagger that turns back time, who wouldn't want to turn back time? And that's the heart of the story. Newell related that he came to adore Mechner while filming Prince of Persia. Mechner would wander around the set with a notebook. He didn't write a diary, he drew a diary of what was happening each day, which Newell thought was wonderful. But what he loved most about him was that he was an absolute research freak. Everything in the game and everything in the film script—for which he wrote the first draft—was researched on the basis of what it was actually like in 6th century Persia, what was around, what the technologies were, what the belief systems were, all that wonderful research. Despite its rich visuals, Bruckheimer did not film Prince of Persia in 3D and—when asked why—admitted it was because James Cameron's Avatar hadn't yet come out. Until then, most 3D films were animated films. They considered re-editing it in 3D but it was too costly. Further, the cameras that were available at the time were not as advanced as those of today to take out into the desert. Had they decided to shoot the film in 3D, they would probably still be shooting today.